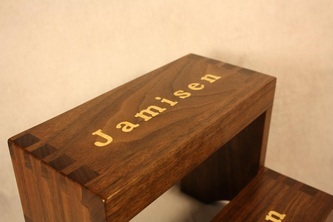 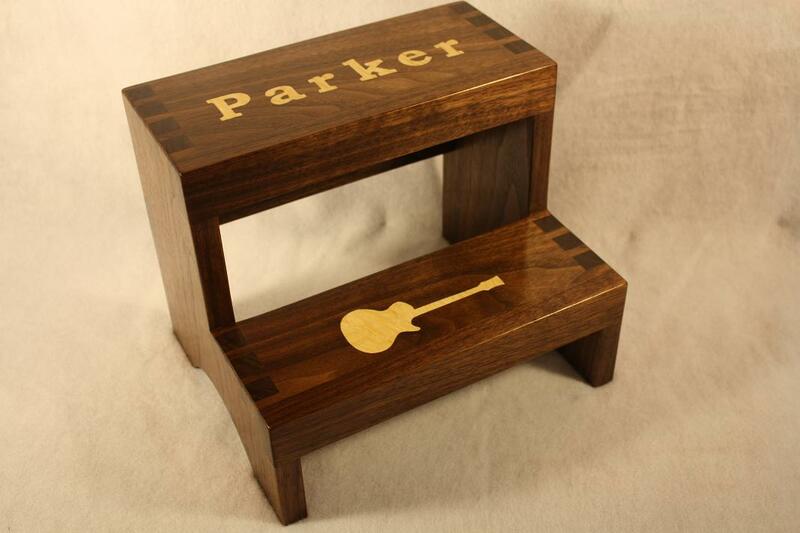 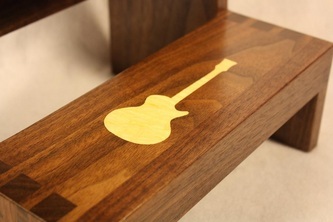 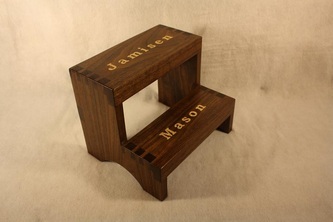 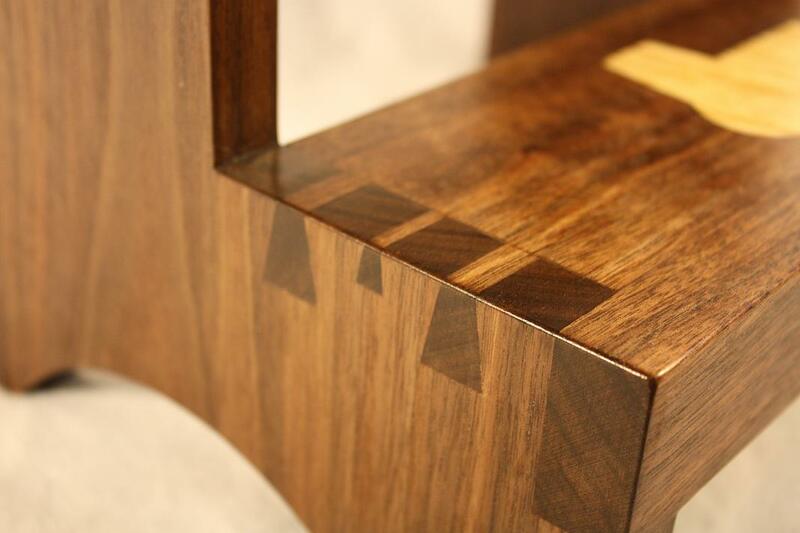 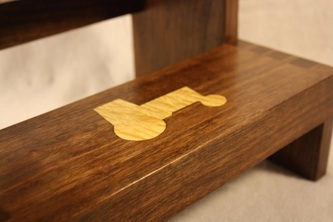 Child's shaker style heirloom step stools made from black walnut with custom curly maple inlay. Jamisen and Parker stools made with standard dovetail joinery. 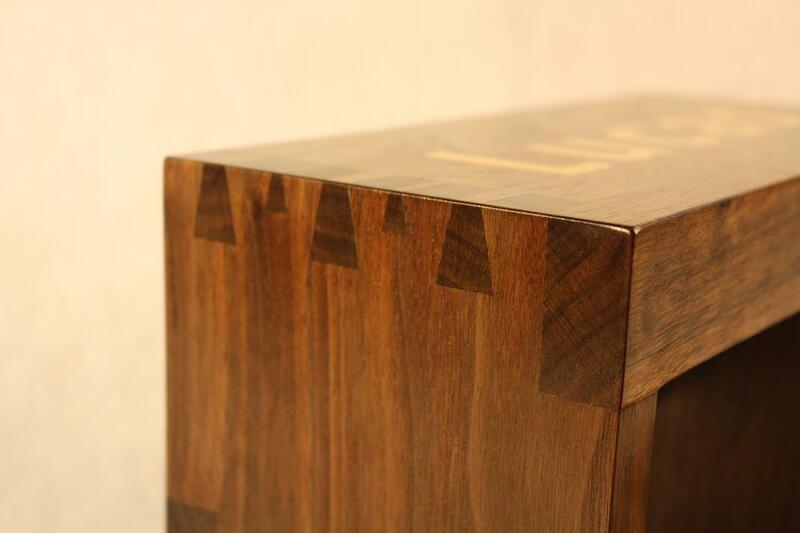 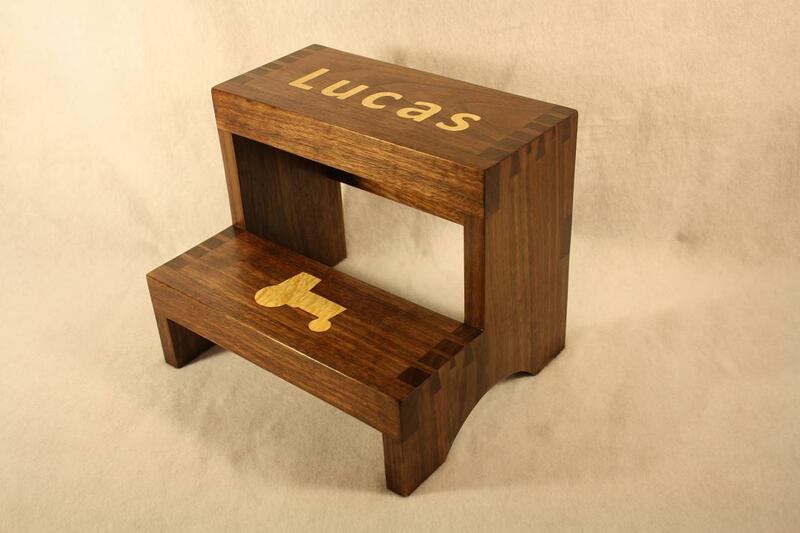 Lucas stool sports hand cut hounds tooth dovetails. 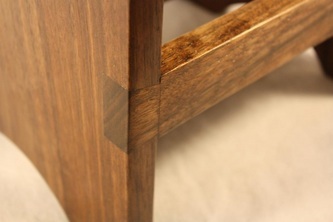 Finish is boiled linseed oil and polyurethane for durability.